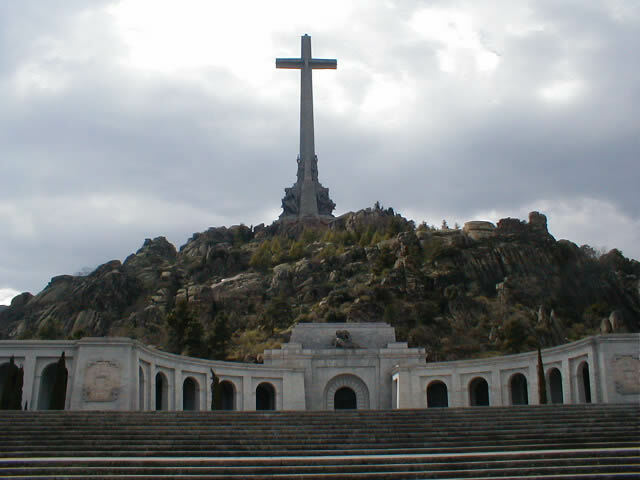 Spain’s socialist government understands the potency of Valle de los Caídos, or Valley of the Fallen. Indeed, much energy has been devoted to taming it. Since 2009, the site has been closed to general visitors; only those attending mass are allowed. Just to make sure, a guard hands arrivals a slip of paper, reminding them that they are there “for religious purposes only”. … The government is considering legislation to deal with the Valle de los Caídos, appointing a panel of historians to advise. Should there, for example, be an exhibition detailing the monument’s history, explaining that much of it was built by up to 20,000 prisoners drawn from those Franco had defeated? I am opposed to shutting down or tearing down monuments that “commemorate” the shameful. We do not demolish what’s left of the coliseum, an arena of death where thousands of innocents perished for the sake of sadistic entertainment mounted to divert the people’s attention away from bad government. We study it, we marvel at its architecture—the builders of the coliseum like the builders of the Valle are not to blame for the function or purpose of the site—and we regard it as historical. Little by little over the centuries, we learn about the past and perhaps avoid repeating it. Or not. The Valle is a damned big, ugly testiment to Franco’s hubris (it is, after all, a tomb for pharaoh), to his blind smugness, to his sick fundamentalist misogynist religious “vision” and hypocrisy. It is also a remnant of the holocaust that engulfed Spain. So, like the museums at the death camps of Dachau and Auschwitz, I say let people visit it. But let them know who built it and why, as well. Dig up the mass graves where the builders lie buried, and let them be part of the spectacle. We have massive marble heads of Tiberius, statues of Caligula, and (toppled) statues of Stalin and Saddam Hussein. Let kids ask, “Who was that?” We took our kids to see the Valley some years ago. Our then nine-year-old son managed to spit on Franco’s tomb before leaving the sacristy. He knew exactly who Franco was and what he did.